McConville Omni's experienced team of brokers work with construction firms and contractors operating in the London, Goderich and St. Thomas trading areas to ensure their insurance policies offer relevant, reliable coverage. Insurance for builders, construction firms and contractors covers a wide range of business types and offers policies that protect a specific business against a variety of losses relevant to its operations. Our experienced commercial brokers understand that every single business is different, which is why we approach each of our commercial insurance contracts on a case by case basis. We invest the time to understand your contracting or construction business in detail – and specifically where the risks lay. This helps us think strategically to present you with the best coverage options. Then, we 'shop around' – we take your profile and needs to our top carriers to find the best rates for you. And, when you need it (and hopefully you don't! ), we're here to help you manage when a loss occurs. My job is to make sure my builder and contractor clients are properly covered. Yes, it's a numbers issue, but equally important is the scope of coverage and thinking through all the potential risk scenarios. Is a Commercial Auto policy right for large machinery? If you have an automobile that you use in any way to complete business, then commercial auto insurance can protect you against property damage or bodily injury. There is more specific coverage for heavy machinery or trucking. How is Machinery Breakdown for Construction Equipment different than normal Machinery Breakdown? Your property coverage will include breakdown from flood, fire or natural disaster, but the equipment coverage will include details such as a power surge. Not many companies offer this coverage, but we have access to some that do. Project Specific Wrap-up Liability – why is it important? This coverage protects the general contract’s commercial general liability policy from a claim by passing the responsibility to the subcontractors liability coverage. Why isn't there coverage for faulty workmanship? Many carriers exclude this coverage in their policies. It is important to understand that the work you do is presumed to be good, so faulty workmanship is not covered by your liability coverage. Why are cranes treated differently? Cranes are unique in how many potentially dangerous situations they operate in and how many other pieces of equipment they interact with. Hook and Crane Liability is not included on the general liability, and will cover things like the crane itself, the item it's moving and/ or the loss of productivity in downtime. What is Rip and Tear Coverage? Rip and Tear covers the removal and reinstallation, including the labour for both, of materials in the event of a manufacturer fault. Though the manufacturer has a legal responsibility to replace the materials, you would be experiencing a loss for labour. This coverage protects you from that potential exposure. 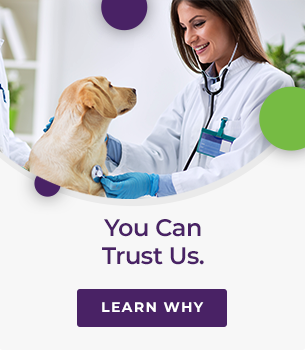 We work closely with veterinarians who own vet clinics and hospitals to customize an insurance policy that covers all the potential risk points, whatever the size of their business. The recent ransomware attack on the City of Stratford demonstrates our vulnerability to ever-evolving cyber threats. Do you know how your business is protected from disruptions to your software, data, and business operations? I don’t store customer information, do I need cyber insurance? Whether it’s employee data, customer information, or supplier and partner information, your business runs on information. Find out what cyber security risks your business faces as a result. At McConville Omni, we take the time to get to know you – so that we are fully confident that we are bringing you the very best insurance coverage for you, your family and your business. Copyright © 2019 McConville Omni Insurance Brokers Ltd. All Rights Reserved.